I love to design my own practice sheets and charts for students. You are free to print these for your own personal use. Check out my NEW PRINTABLE GAMES!! All aboard the Rhythm Train, Do Re Mi Fa, Ready Set Go!!! Clap the rhythms then give a loud - CHOO CHOO at the End! Preschoolers LOVE this game! 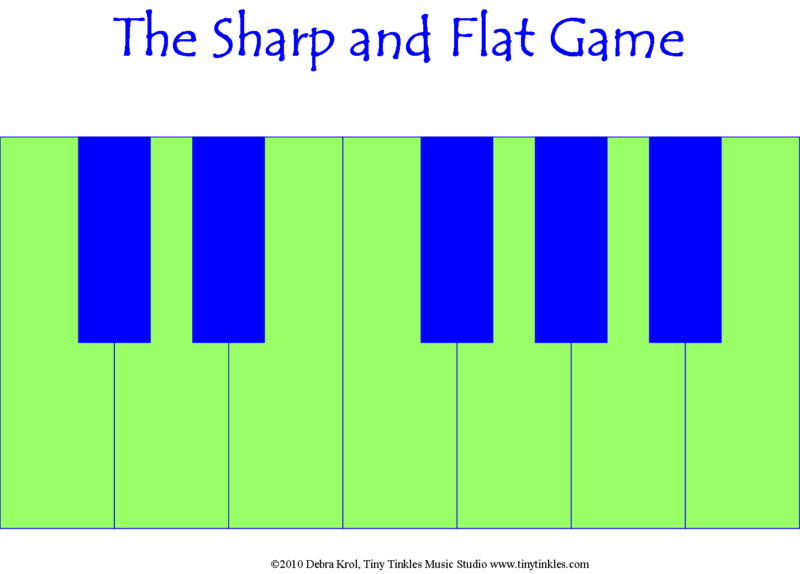 A great way to learn the geography of Flats Vs. Sharps on the Piano. For extra fun, play with the crocodile dentist, and allow the student to press a tooth and see who wins- the student or the crocodile! This collection of charts was designed to help students remember where their notes are. I have them posted in my studio and ask students to print them off the website to keep at home. It is amazing how quickly you will learn all your notes in all the cleffs by looking at these charts only a few times!!! Everybody loves a bookmark!! Print these on heavy glossy cardstock and your students will love them!!! Use the TT Bookmarks to help your kids learn all the names of the notes on each staff!! 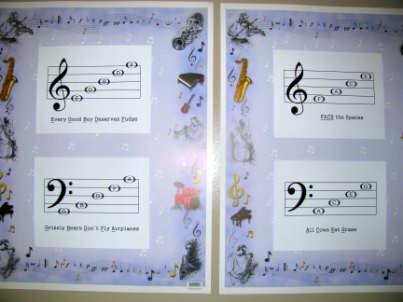 Use the Scale Challenge Bookmark to help motivate your kids to master their scales!! Scales for Beginners!! Pentascales are easy - especially if you can't read music! -- You'll definately want to print this one! There are two different visual styles, print what works best for you! Note: the second style has two pages. Check out the Preparatory B technique -- laid out in the keyboard format.